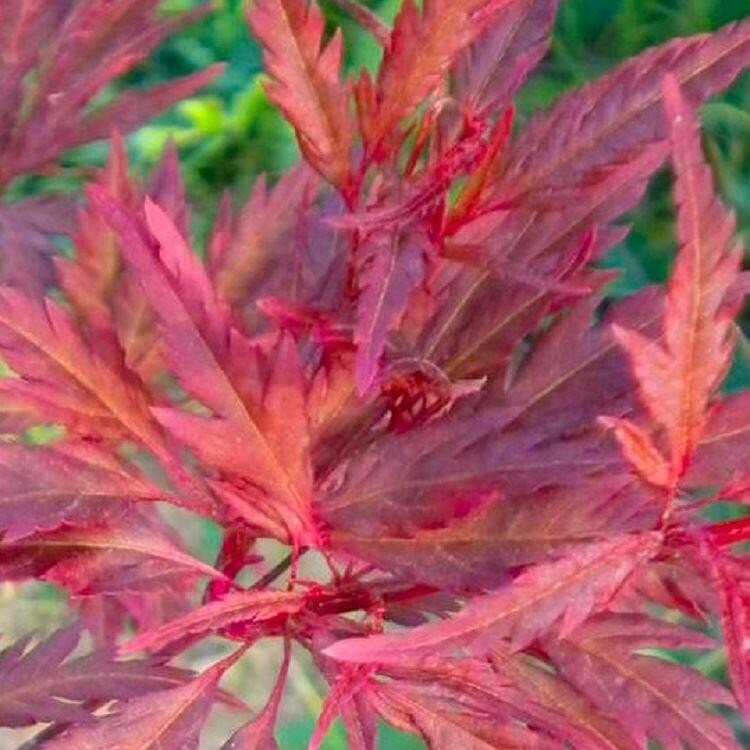 Acer 'Beni-Hagoromo' is a unique and stunning variety of Japanese Maple. Every Spring, the new folige emerges as a beautiful crimson red. As the seasons progress, the leaves turn gorgeous shades of browny purple with hints of red too. 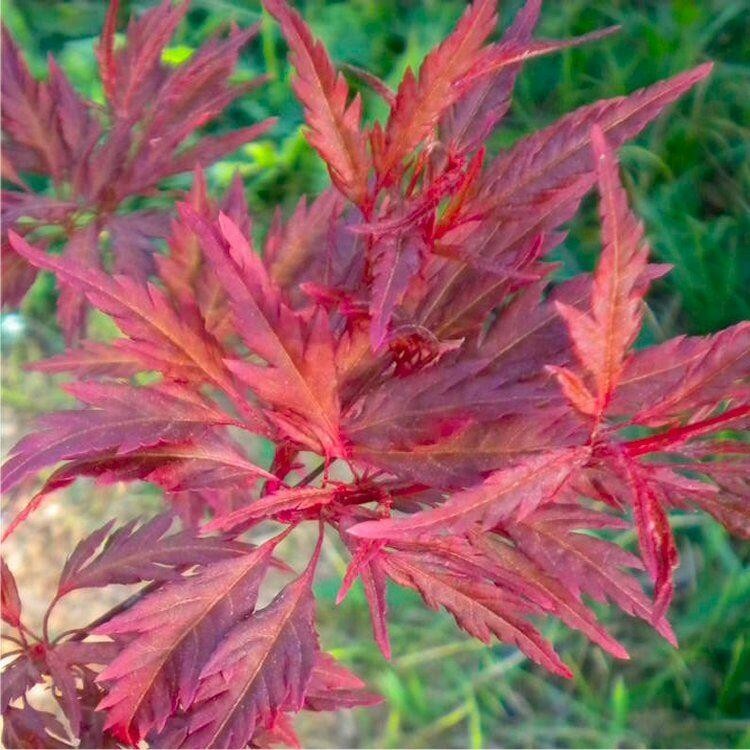 Each leaf is distinctively shaped and attached to the stem dirrectly creating the effect that this plant is covered in red feathers.